While the world has been transfixed – and horrified – by the gruesome and chilling hostage dramas played out in the Middle East these past months, Lebanon has been gripped by its own increasingly convoluted kidnapping crisis. The lives of some 26 Lebanese soldiers and policemen hang in the balance as the government in Beirut wages a protracted and tense negotiating battle with two of the most radical and aggressive Islamist groups operating today in the Middle East: the extremist Islamic State and Jabhat al-Nusra, Syria’s Al Qaeda affiliate. Now Lebanon’s detention of two women and a videotaped threat to capture the wives and children of Lebanese soldiers is raising the specter of an already white-knuckled process spinning out of control. The Islamic State has embedded its brutal reputation in the consciousness of the international community with the cold-blooded executions of five Westerners, either journalists or aid workers, since August. It also has executed hundreds, possibly thousands, of Syrians and Iraqis since seizing large areas of northern Iraq and eastern Syria earlier this year. On Thursday, the Yemen-based Al Qaeda in the Arabian Peninsula released a video in which it threatened to kill Luke Somers, an American journalist who was kidnapped in Sanaa, the Yemeni capital, in September 2013. Lebanon is no stranger to hostage dramas – much of the international headlines in the 1980s featured the plight of Westerners kidnapped in civil-wartorn Beirut. The current crisis began in early August when some 700 mainly Syrian militants stormed the town of Arsal close to Lebanon’s northeastern border with Syria. After several days of fighting with the Lebanese Army, the militants retreated to their stronghold in the mountains spanning the border, taking with them large quantities of looted weaponry and more than 30 captured soldiers and policemen. A handful of Sunni captives were released, but the rest, numbering around 26, were divided up between the Islamic State and Jabhat al-Nusra. Their captors are demanding the release of Islamist militants in Lebanese jails. The government’s response to the crisis has been muddled. 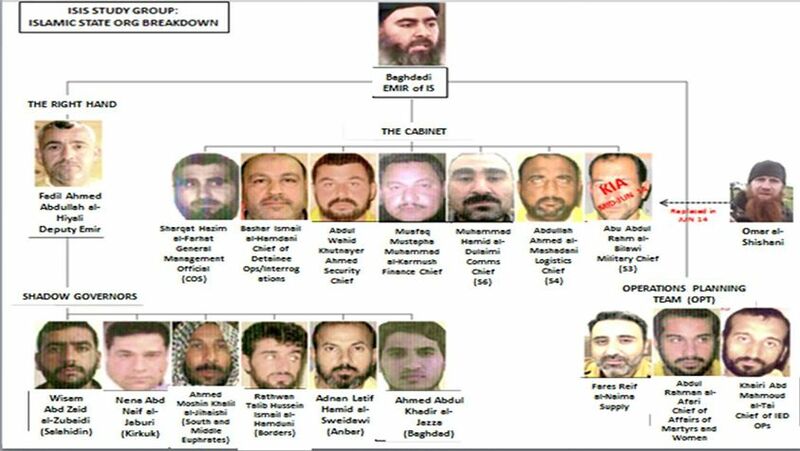 There appear to be at least three mediators; two are Gen. Abbas Ibrahim, the head of a Lebanese security agency, and Ahmad al-Khatib, a Syrian who was appointed mediator by Qatar, which has some influence with militant groups in Syria. The third is Sheikh Mustapha Hujairy, a Sunni cleric from Arsal who has been helping mediate even though he was indicted in absentia by a Lebanese court in October for being a member of Jabhat al-Nusra. Both sides have grown increasingly frustrated as the weeks pass with no resolution. Three of the hostages have been executed. The families of the hostages have repeatedly blocked roads across Lebanon and are holding a permanent sit-in near the parliament building in central Beirut to pressure the government into making a deal. Last weekend, Jabhat al-Nusra warned it would execute one of the hostages by 10 p.m. Monday over what it said was the government’s delay in agreeing to a prisoner swap. The execution was subsequently postponed because, according to Lebanese media reports, General Ibrahim threatened to kill two imprisoned Islamist detainees if the hostage was harmed. In the latest twist to the drama, it was revealed this week that the Lebanese authorities had detained a woman believed to be a former wife of Abu Bakr al-Baghdadi, the leader of the Islamic State, along with his four-year-old daughter. The Lebanese government said DNA tests have proved her identity and she is currently being held at the Lebanese Ministry of Defense. Also languishing in a Defense Ministry cell is the wife of Abu Ali al-Shishani, an Islamic State commander. She was arrested in north Lebanon. The Lebanese government apparently hopes that the detention of the two women will grant it leverage in the negotiations. But a furious Abu Ali al-Shishani posted a video statement on YouTube Thursday threatening to kidnap the wives and children of Lebanese soldiers if his wife was not released. “We will not rest until all our women are out of prison. Damn you and your Army,” said Shishani sitting before an Islamic State flag and flanked by two masked militants. “Women and children of the pigs and the slaves of Khomeini and all who follow them: all your wives, children, and men are legitimate targets now,” he said, referring to members of the Iran-backed militant Shiite Hezbollah, a bitter enemy of radical Sunni groups. 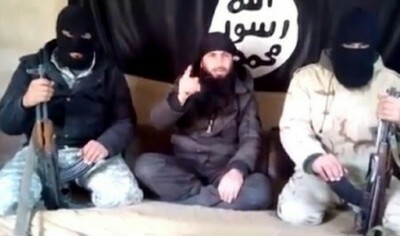 Who is this abu ari al-shintani fella, sounds like he needs a visit from one of the H.A boys sooner rather than later.